Verizon subscribers are preparing for the new NFL season, and that means they are getting ready to use the NFL Mobile app. Thanks to the app and Big Red, they don't have to get mad at their wife because she wants to shop for furniture during the big game. Instead, a Verizon postpaid subscriber can whip out his smartphone and not miss one big play, even while looking at a new living room set. With NFL Mobile, all postpaid customers get access to 2016 regular season games, 2016 playoff games, 2017 Pro Bowl, Super Bowl LI, and the NFL Network around the clock, every day. For $1.99 a month, they can add one of the coolest things an NFL fan can watch, NFL Red Zone. This takes you around the league to games where the offense is at, or inside the opponent's 20-yard line. Today, Verizon took a play out of T-Mobile's playbook, and announced that subscribers will be able to watch local and prime time NFL games without using their precious data. Instead, Verizon postpaid customers will be watching these contests thanks to Verizon's largesse. This includes live NFL games on CBS, NBC, ESPN, FOX and NFL Network. 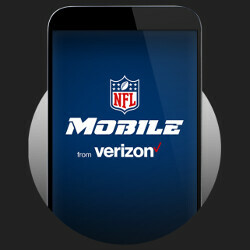 NFL Mobile can be downloaded from the App Store or Google Play Store for free. Remember, the first Sunday of the NFL season is just two days away. Verizon postpaid subscribers have a lot of football to watch on their mobile device in the days ahead, even if they are standing in the middle of a furniture store while watching. Verizon's website and the images posted say this only applies to postpaid. The actually written article says it only applies to prepaid. The article needs to be corrected to show it is only available for post pay customers. I'm a Verizon prepaid subscriber and in the past I couldn't get past the NFL app opening screen, it said I didn't have access to this content. I went ahead and downloaded the NFL app and it checked to see if I was eligible and it let me through. I've been able to watch some of the videos and stuff, but tomorrow will be the test and see if I can watch the games on it. But So far it looks like it's working.